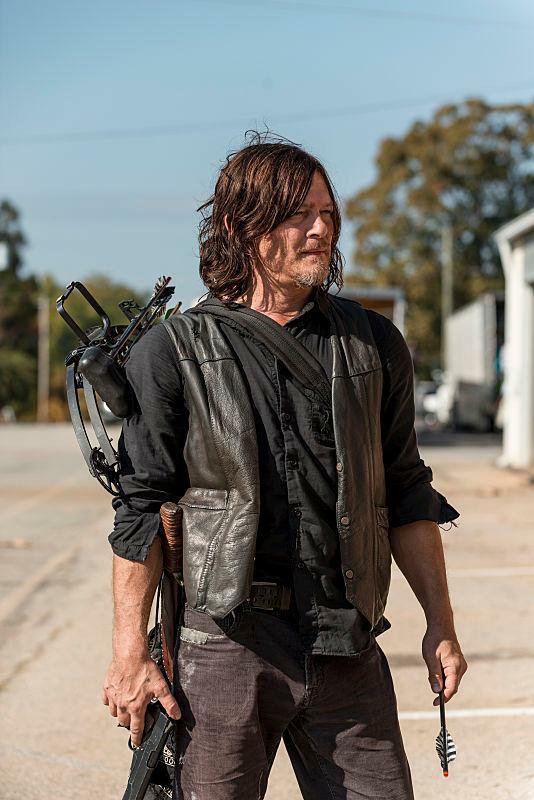 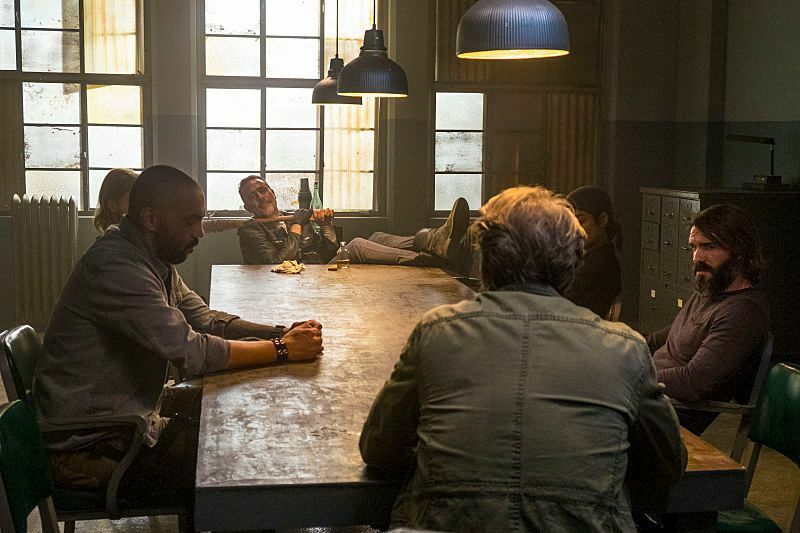 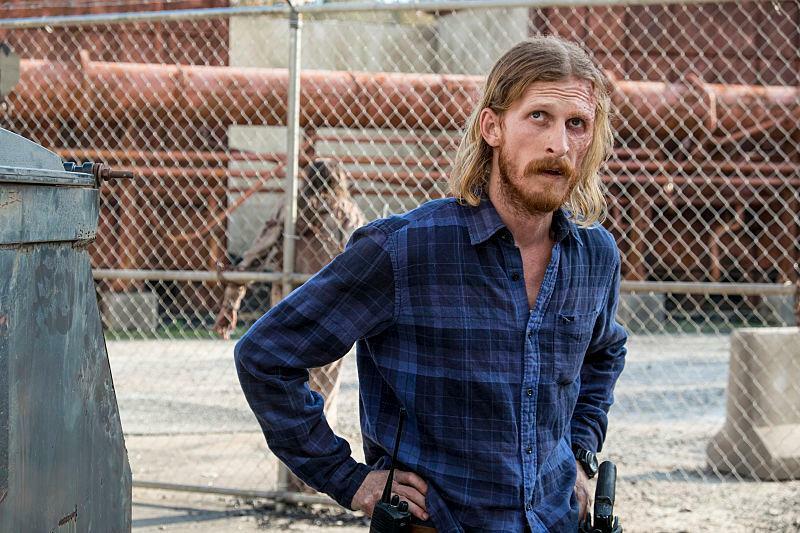 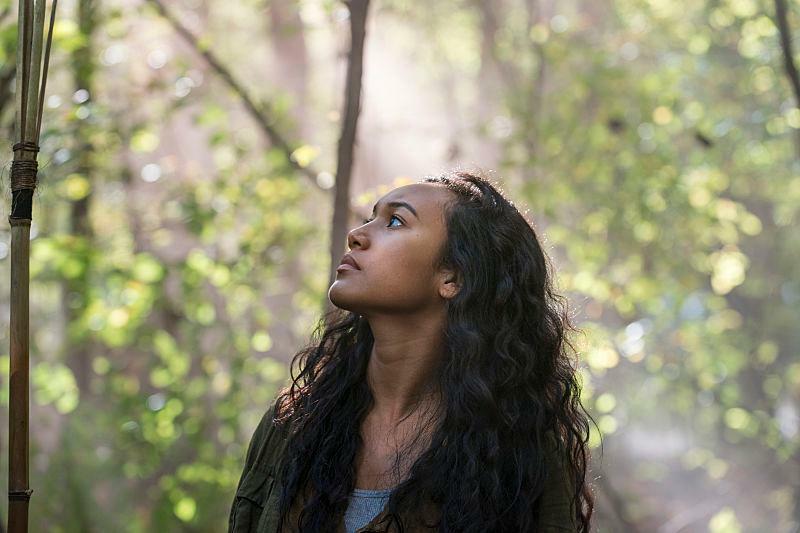 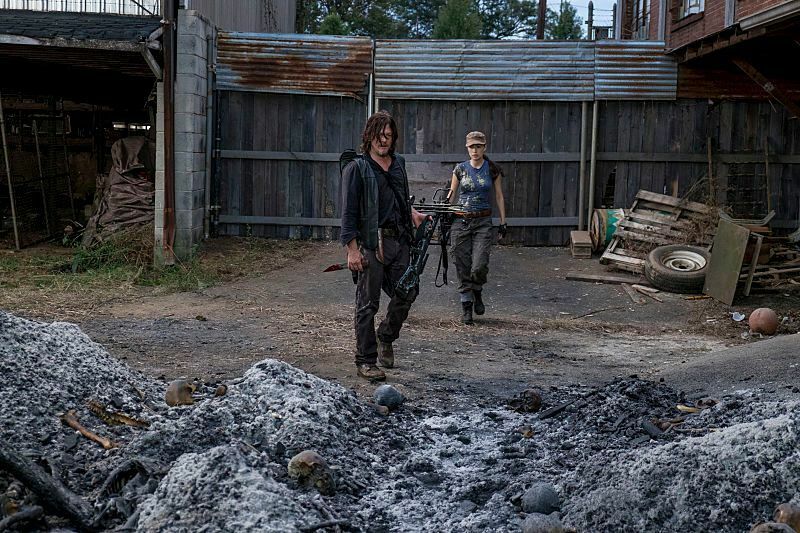 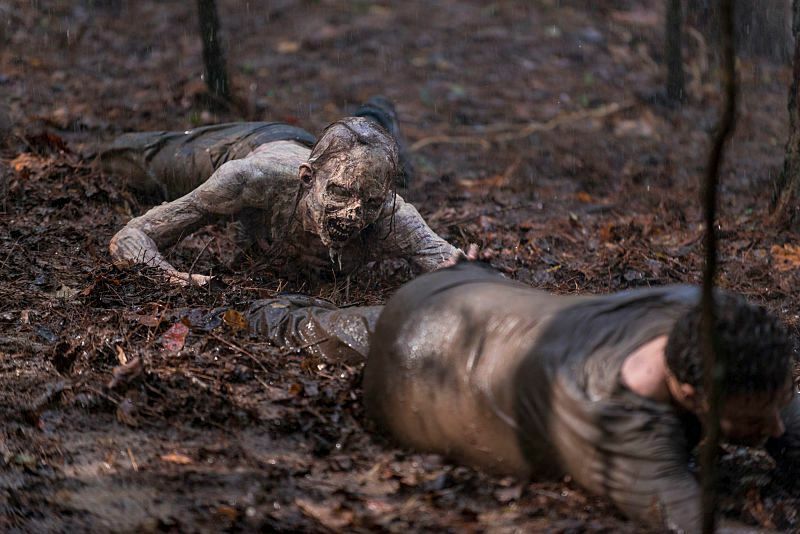 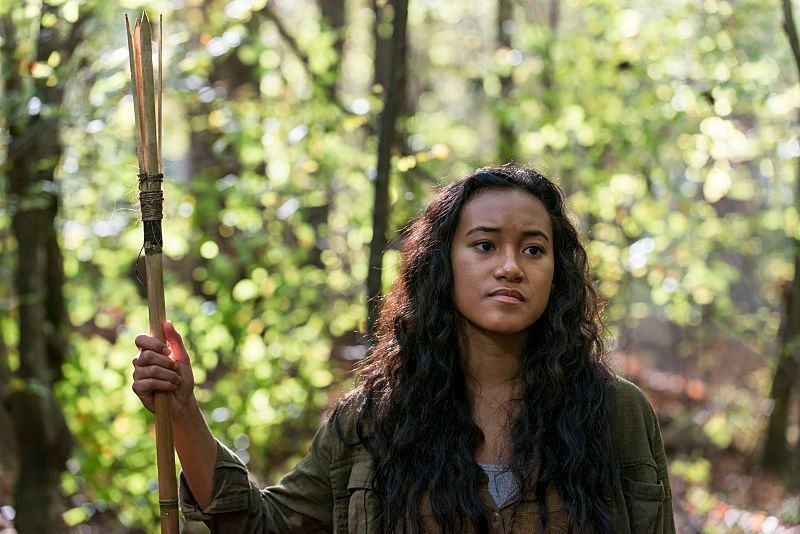 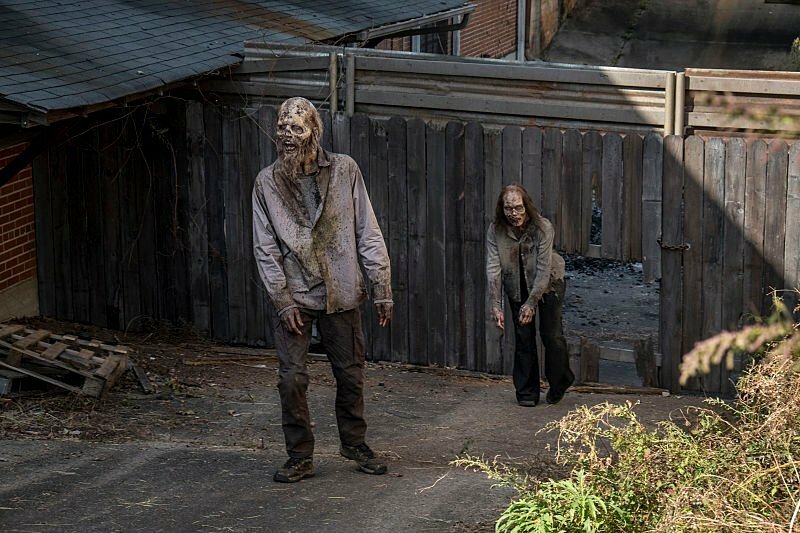 “Worth,” the penultimate episode of season 8 of The Walking Dead, is set to air on April 8th, and to whet our appetites, AMC has now released 31 photos from the upcoming installment of the hit zombie drama. 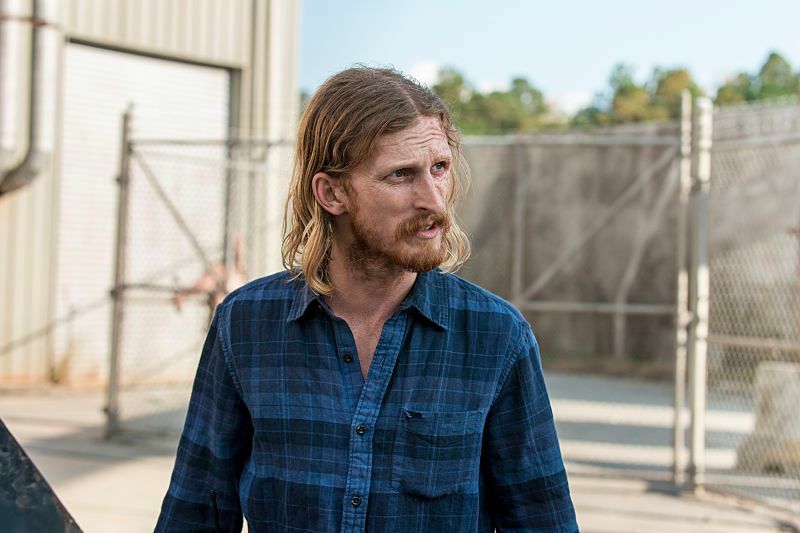 Before we get to them, though, here’s the official synopsis for “Worth,” which teases a few interesting developments. 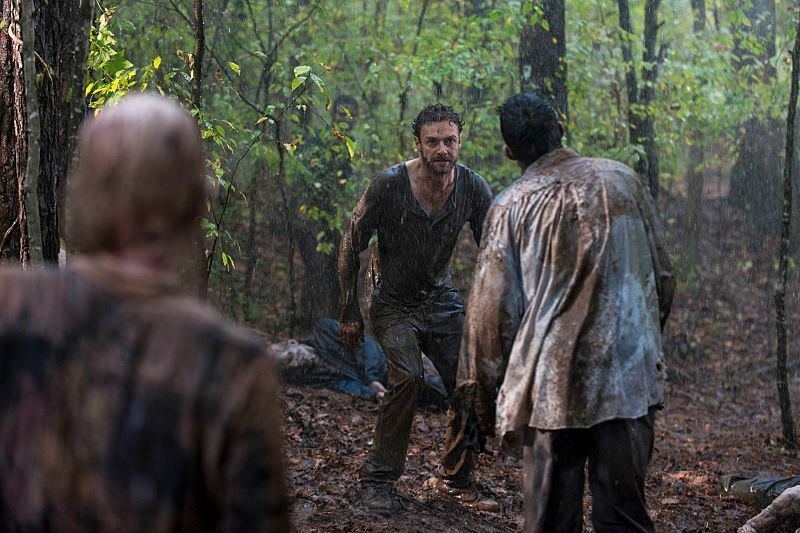 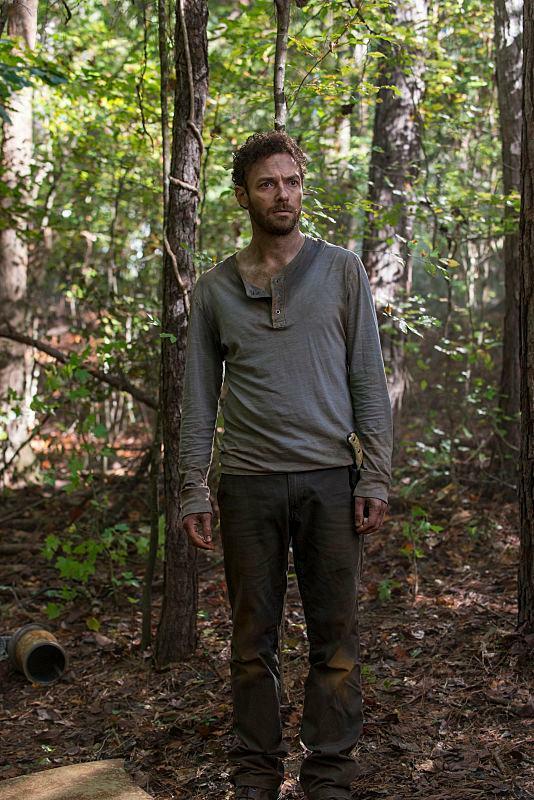 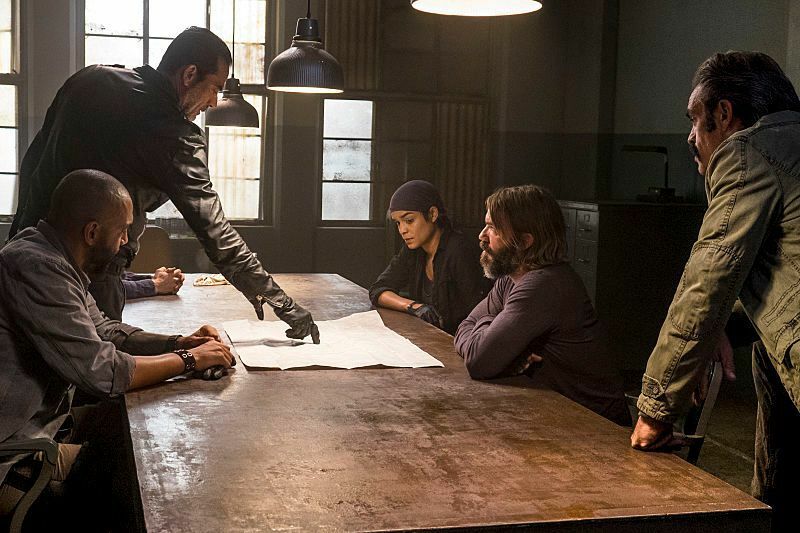 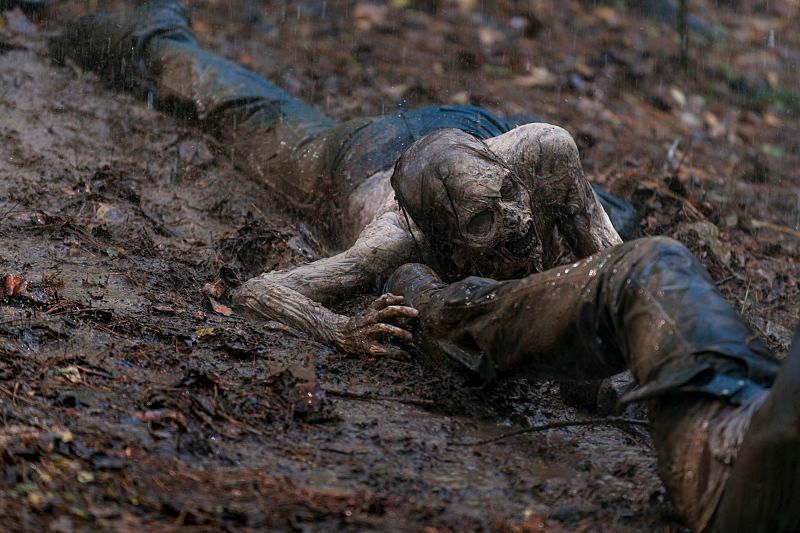 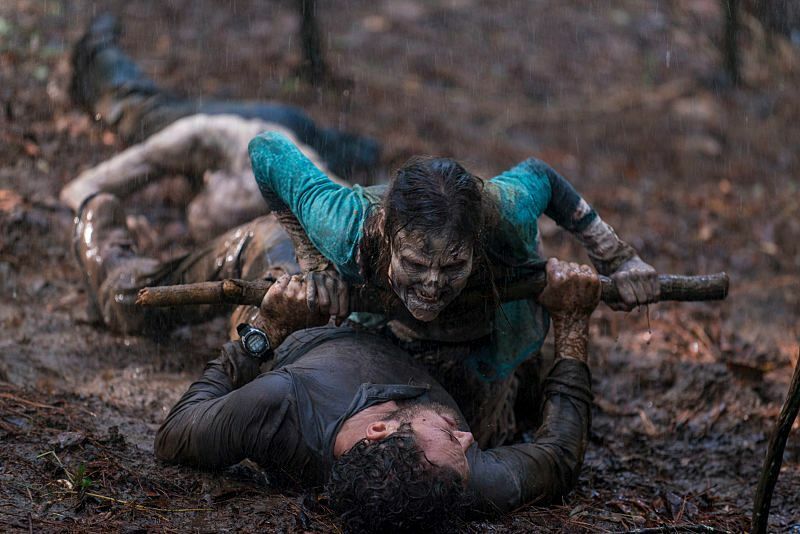 While fans have long been expecting the return of Aaron, it’s nice to have it confirmed by the synopsis and photos (though the fact that he’s being attacked by multiple walkers doesn’t bode well for him). 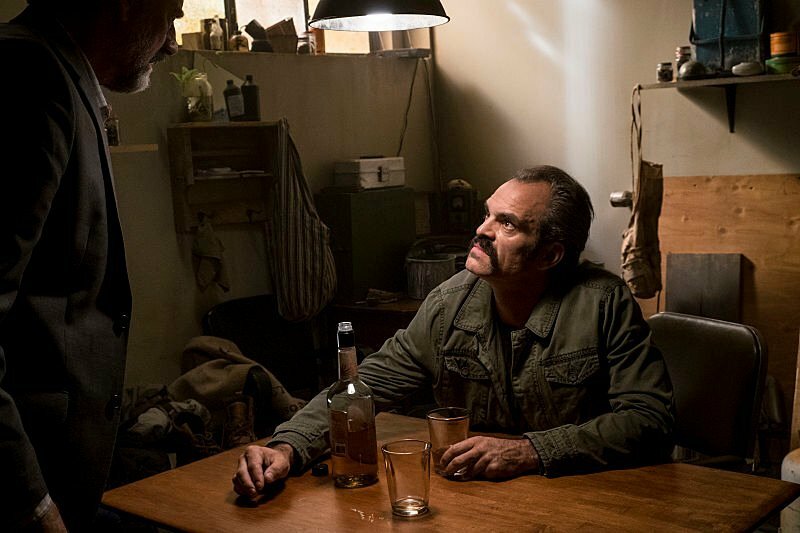 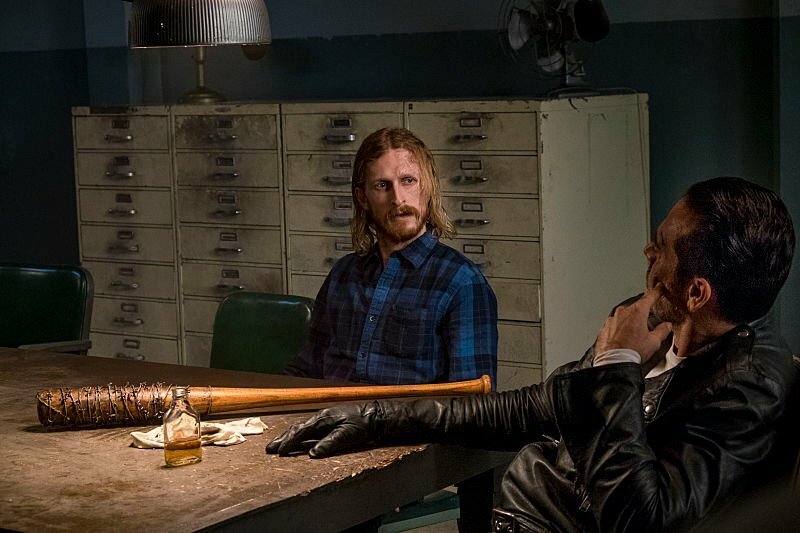 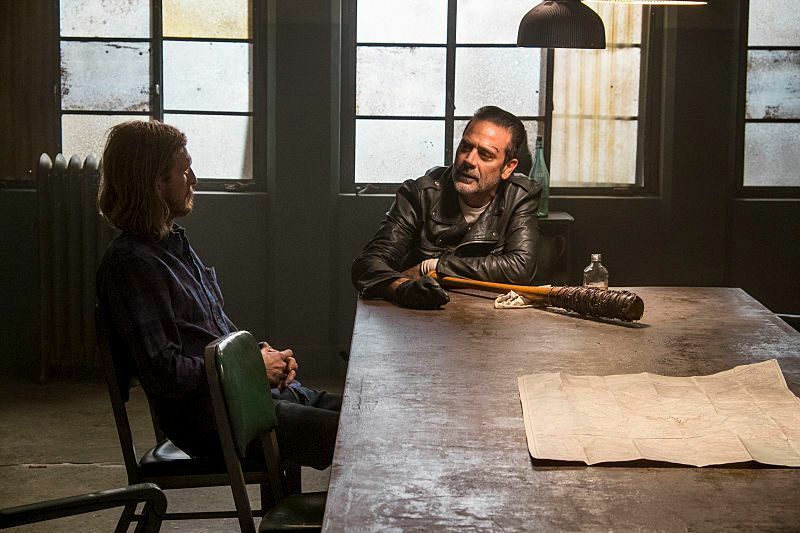 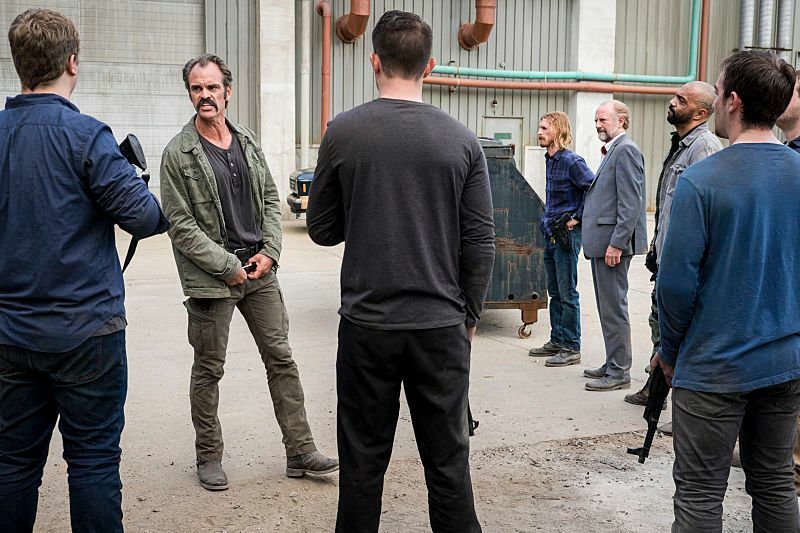 It’ll also be darkly fun to see the reunion of Negan and Simon – though somehow I doubt the latter’s going to see it that way. 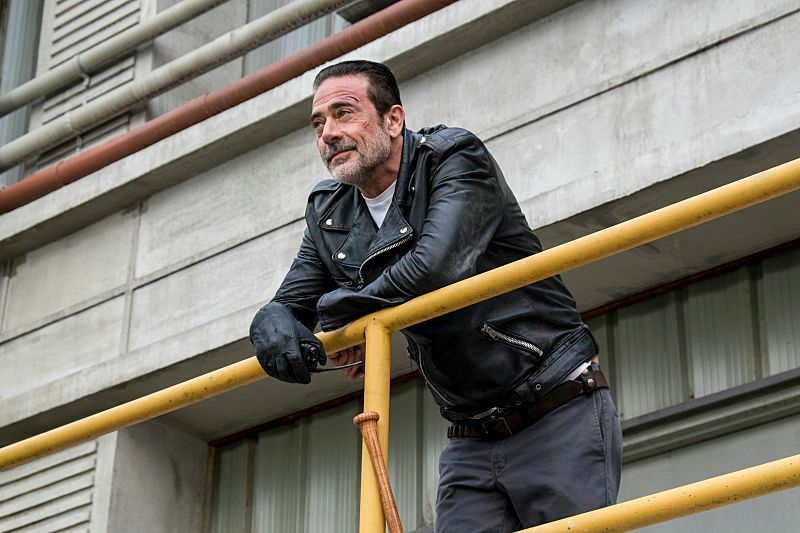 Apparently, the episode is set to get into the nitty-gritty of what he did while Negan was away. 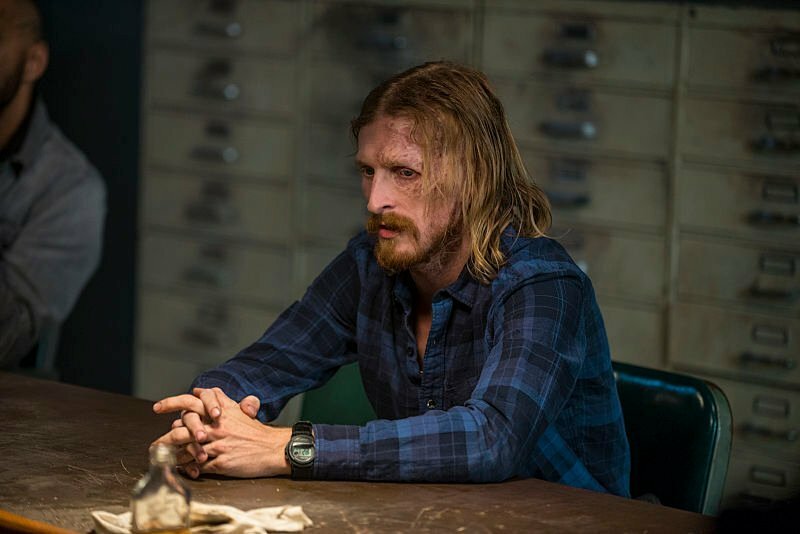 After all, he chose not to send a search party out for the big bad and even told the Saviors that he thought Negan was dead. 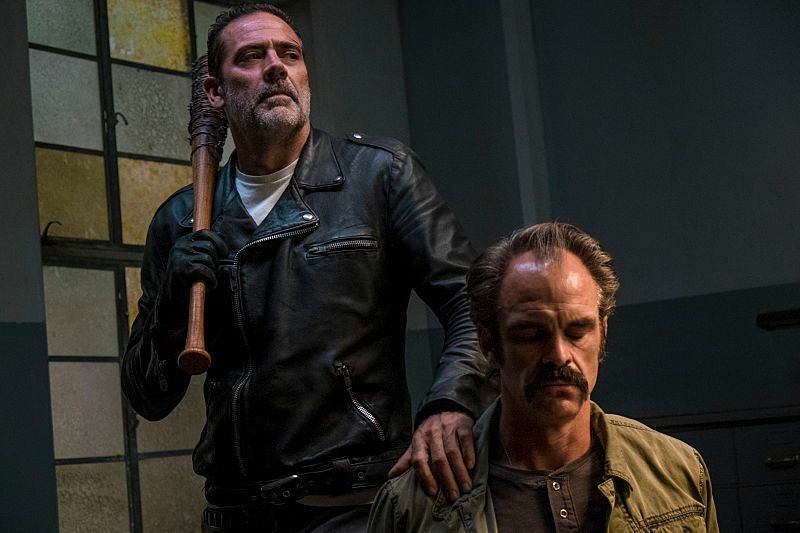 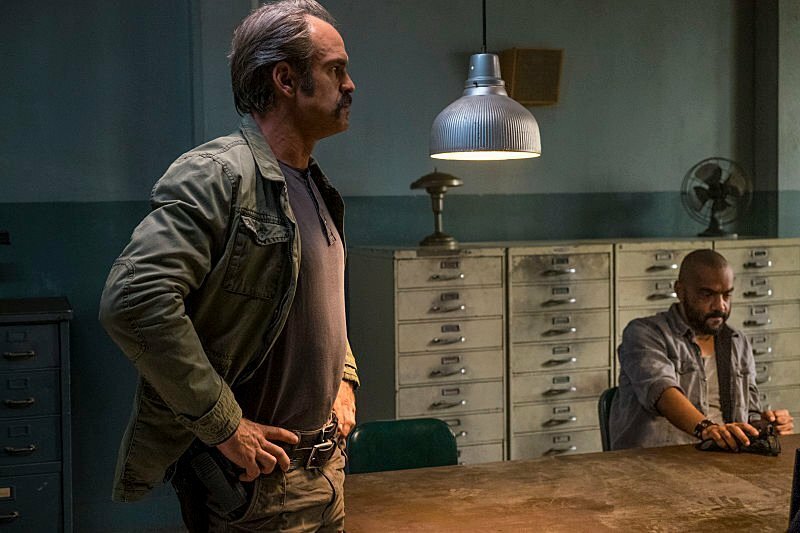 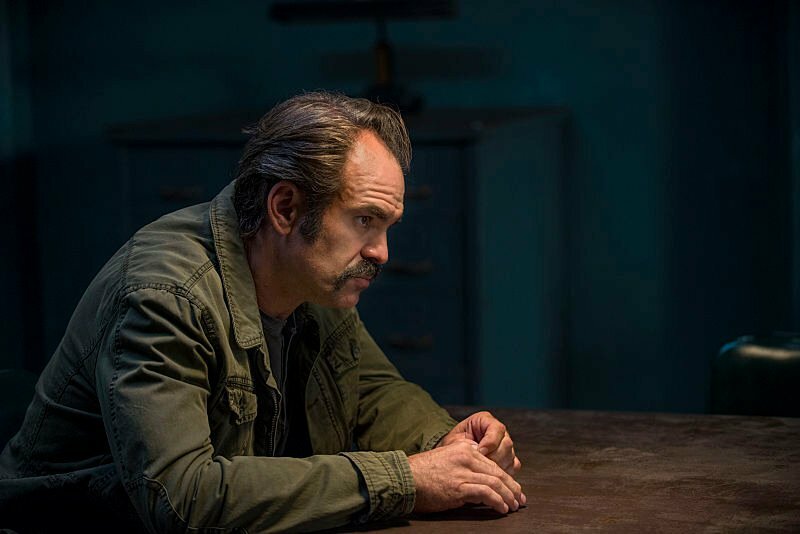 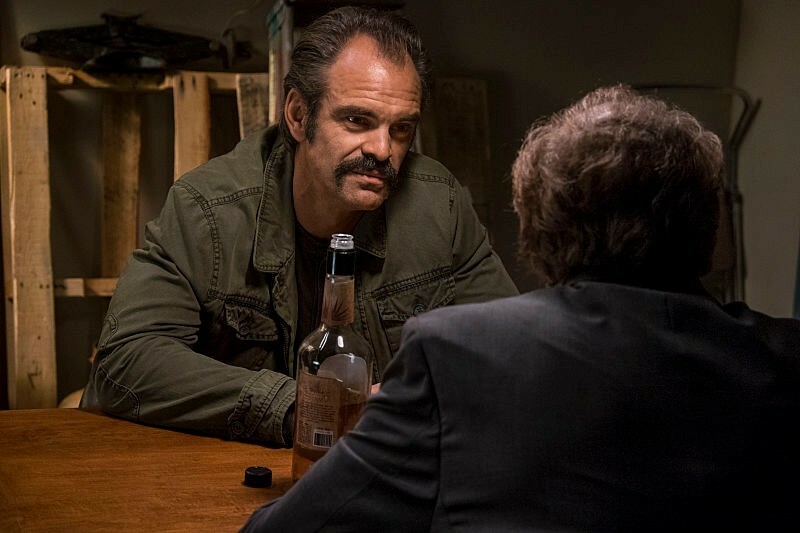 And, let’s face it, those aren’t the kinds of transgressions that Jeffrey Dean Morgan’s villain is likely to take very lightly. 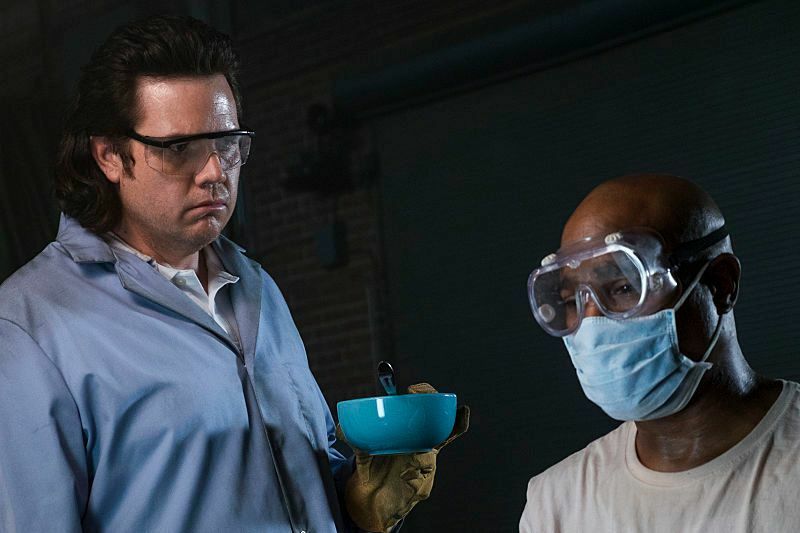 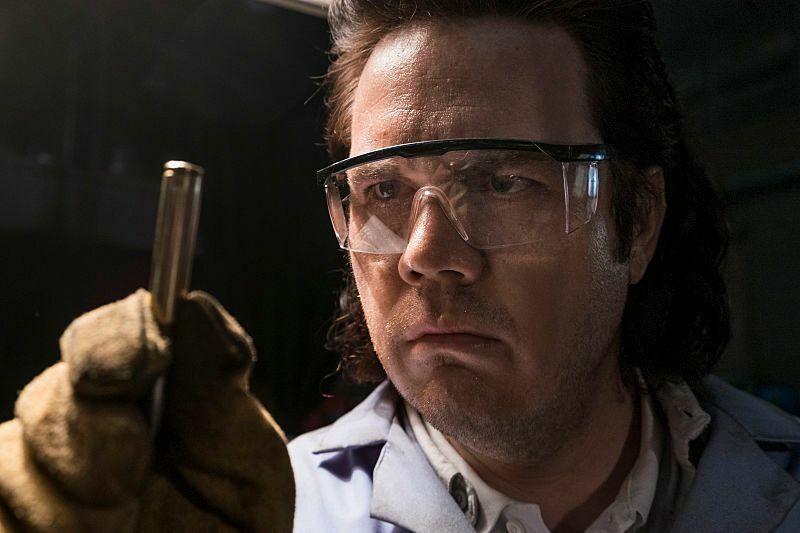 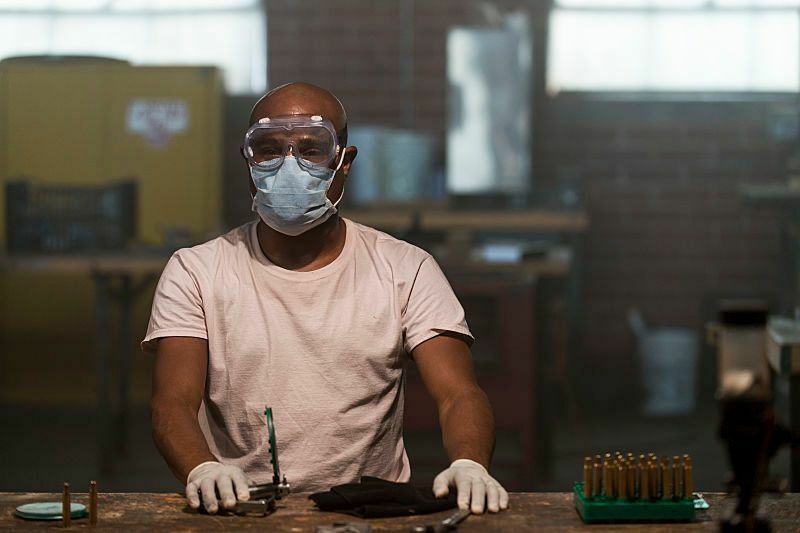 Another key development looks to centre around Eugene’s bullet factory, which is key to the ongoing war as they supply Negan’s army with ammunition. 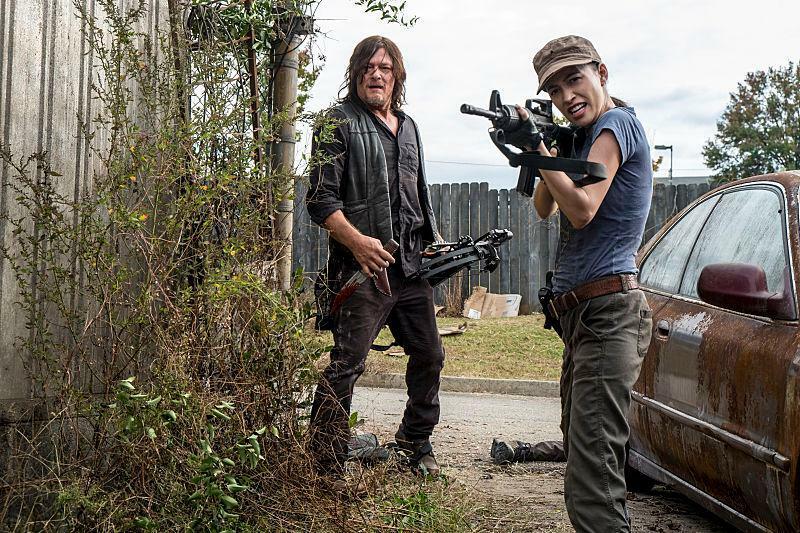 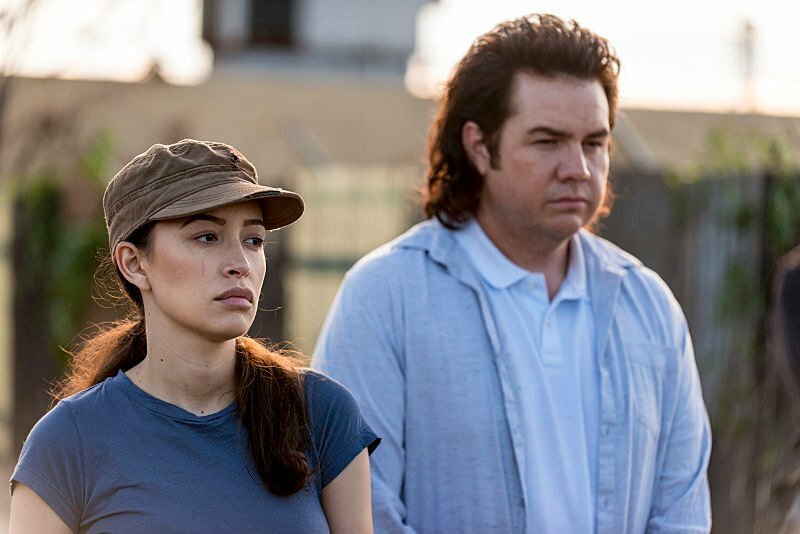 Rosita and Daryl, as seen in the pictures, are spying on it, so I’m curious what’ll happen when the former’s finally reunited with Eugene after so many years apart. 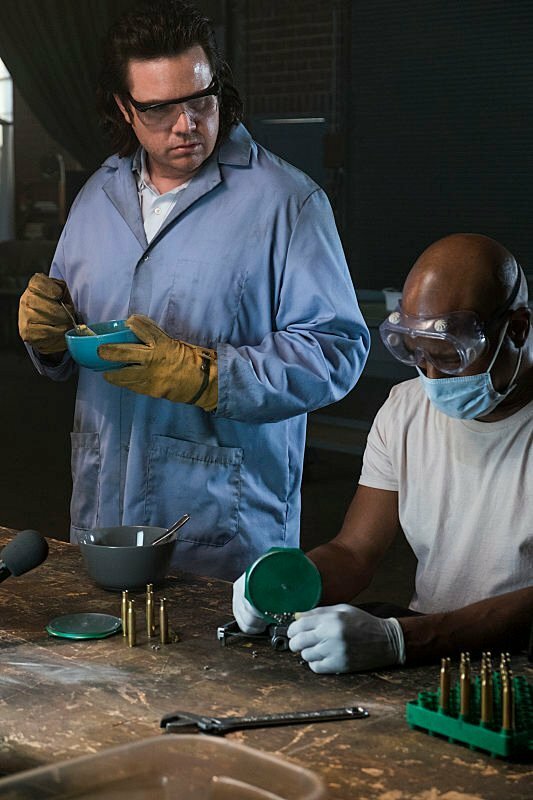 Regardless of the particulars, it looks as though “Worth” is going to give us a great lead into the extra-long season finale, due to air on April 15th. 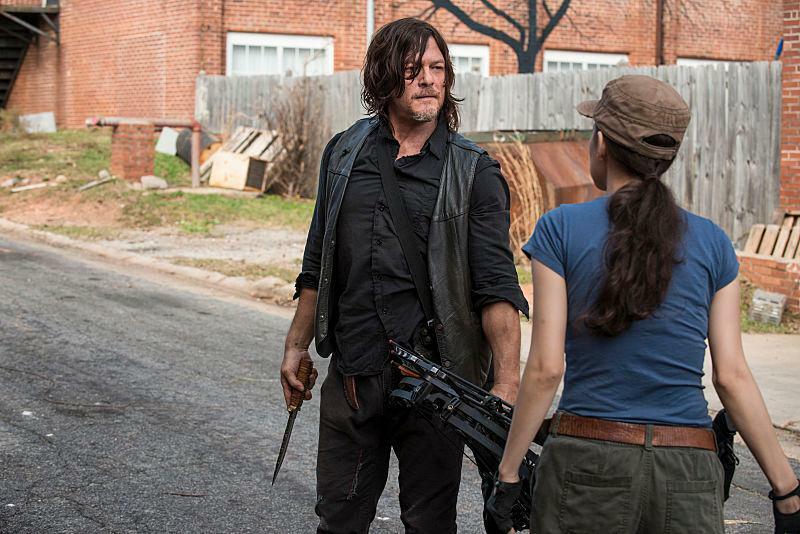 It’ll be titled “Wrath” and promises to bring the “All-Out War” arc to an explosive conclusion.